We started the tour with dim sum, a perennial favorite of both mine and Tania’s. (At some point, if you’re lucky I’ll share my own dim sum recipes. Stay tuned.) 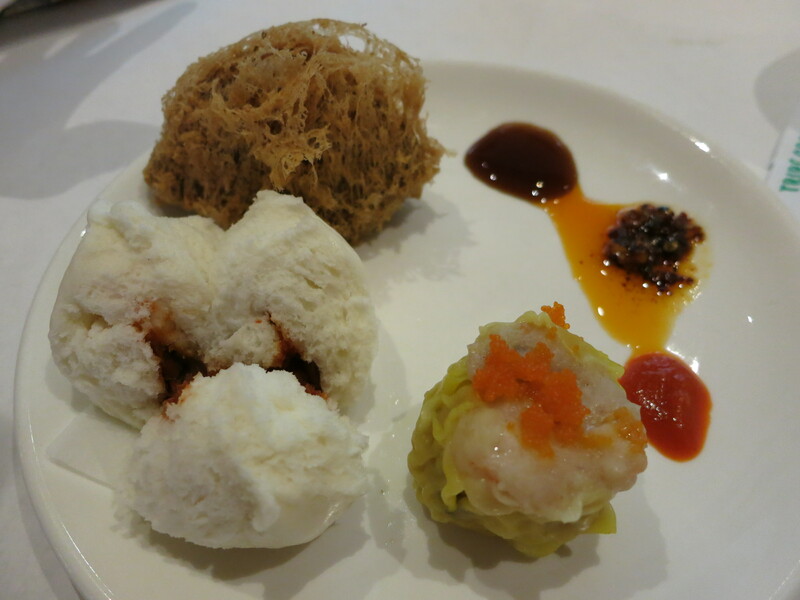 Anyone who has had much dim sum should recognize the assorted buns that filled our plates. We had shao mai (alternatively shu mai, sui mai, or shui mai among other spellings), char sui bao (BBQ pork buns), tarrow puff, and green peppers filled with awesomeness (its actual Chinese name). Just the dim sum itself was pretty filling, and it was a good thing that we did a decent amount of walking prior to sitting down for more food. A good food tour is about much more than just eating. A good food tour should teach you something as well, be it about a neighborhood, a culture, or just food itself. (Tania gives food tours herself from time to time with Columbus Food Adventures, so we like to believe that she knows what makes for a good food tour.) Chicago Food Planet gives a good food tour, and Lisa, the leader of our tour, was a great guide. Consistent with all of that, before eating again we learned a lot about the history of Chicago’s Chinatown, stopped into a Buddhist Temple, and visited the Ten Ren Tea & Ginseng Company. A Taiwanese company, Ten Ren apparently is popular enough to have its own amusement park. They also make some delicious tea, and we were able to sip on an peach iced tea while learning about the various forms of tea and about the alleged benefits of ginseng. Tea finished, I at least was ready for more food. Thankfully, our next stop did not disappoint. We had what was both some of the most spicy and most delicious Chinese food I’d had in a while. 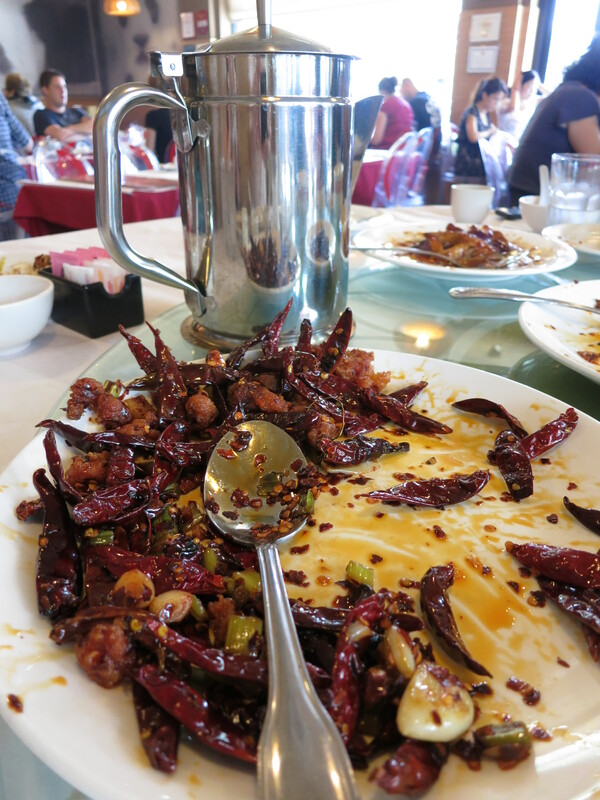 Not only that, but it was at Lao Sze Chuan, which is allegedly one of the top Szechuan restaurants in the country. (We were told it was number one in the country. That may or may not be true, I’ve not been able to confirm. But they did have pictures of lots of famous people in the window.) Rankings aside, I can personally attest to the fact that the food was incredibly well executed. We had a delicious variation of the Szechuan classic Ma Po tofu. 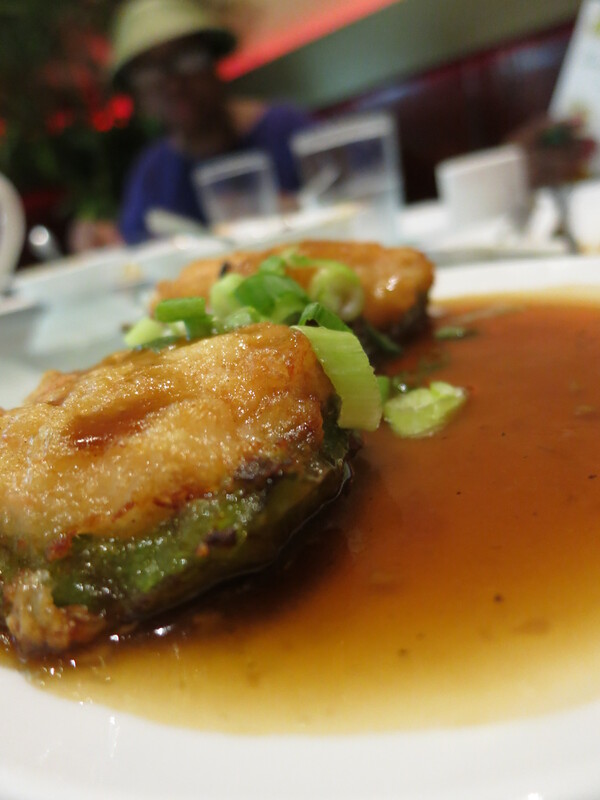 And a really tasty eggplant dish, whose name escapes me. 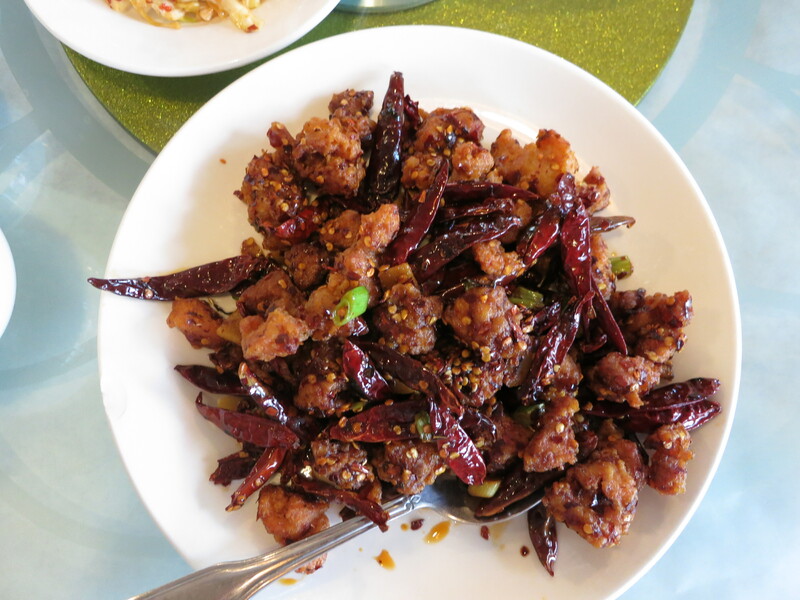 The highlight of our stop for me though was the Chicken with Dried Chilies. Soooo good; and soooooo hot. Take a look at the picture below. These are the same chilies that were featured in my Chicken and Peanuts recipe. I used four. I didn’t even bother to count the number in this dish, but it’s pretty obvious that there were slightly more than four. Chicken and Dried Chilies — you could smell the heat of this dish as soon as you sat down. I would have kept eating the chicken and chilies, but we had two more stops to make, and I didn’t want to fill up or burn my mouth so badly that I couldn’t taste the things that were up next. Because I was really looking forward to the dish at our next stop. Nothing left but the the chilies. If you’re anything like me, you don’t really plan too far in advance. Picking a restaurant the day ahead of time is asking a lot. Deciding what you’re going to eat before you get there is even more difficult. And so, it’s likely you’ve sat down, looked at a menu, and wondered: “what exactly does Peking Duck taste like? And why do I need to order it a day in advance?” You then proceed to order other items off the menu, and by the time you leave have forgotten that next time you’re heading out for Chinese, you want to remember to order the duck ahead of time. Thankfully, when you’re on a food tour, they do the planning ahead for you. 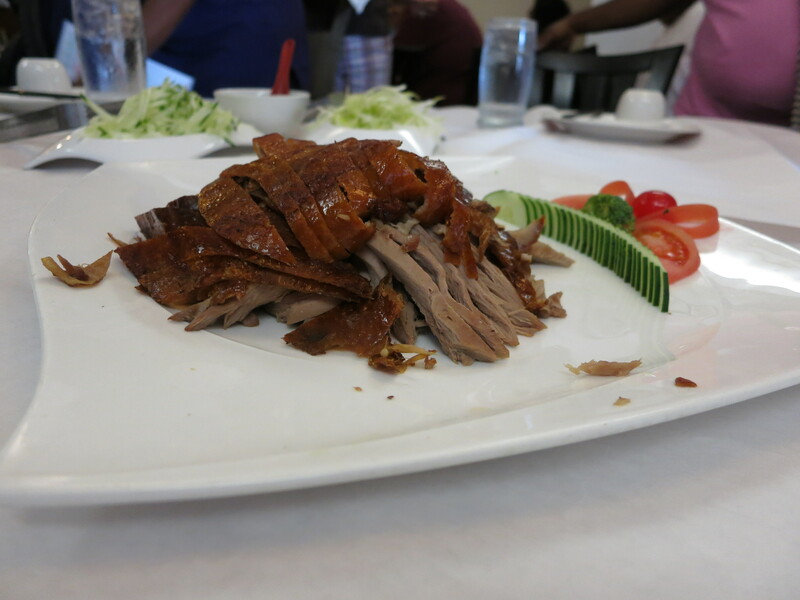 At our next stop, Lao Bejing, another restaurant founded by Tony Hu of Lao Sze Chuan fame, Peking Duck was the featured dish. My photo below just doesn’t do it justice, and for that I apologize. Somewhat disappointingly, we missed out on the full Peking Duck experience, as the duck had already been carved and was waiting for us upon our arrival. So we missed out on the table-side carving; that just gives us an excuse to order it again ourselves. Order it again I intend to. I’m a sucker for duck, I think it’s an incredibly flavorful meat and I order it whenever I get the chance. Peking Duck, at least the one that we had, is duck at its finest. It was moist and flavorful, and the skin, the signature element of the dish, was just incredible. Continuing a theme, I apologize for the quality of this picture. It really doesn’t do the dish justice. By this point we were getting pretty full, so it was a good thing that we didn’t have too much left to eat. 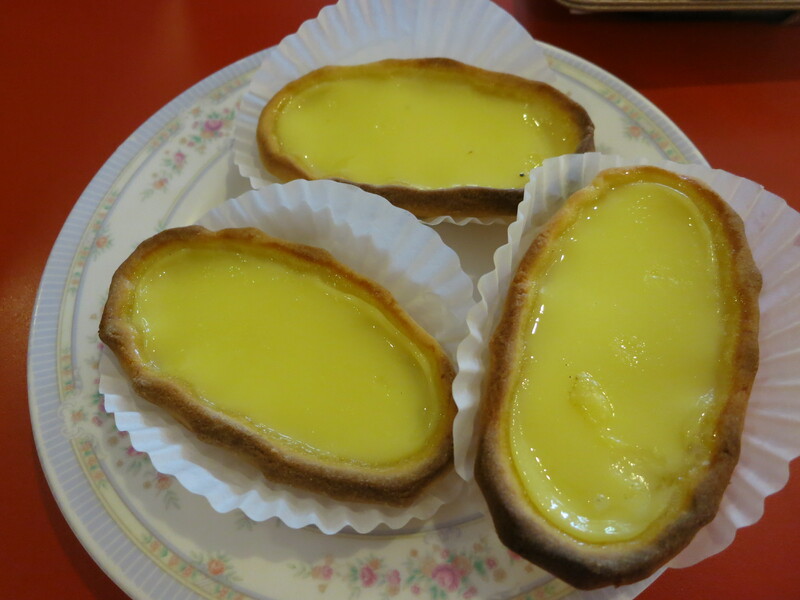 Our last stop was in a bakery, where we had some delectable egg custard tarts. The filling was actually much more egg-y than I expected, and a bit less sweet than you might think based on appearances. They worked well however and were a perfect end to our day of eating. Every meal should end with dessert right? 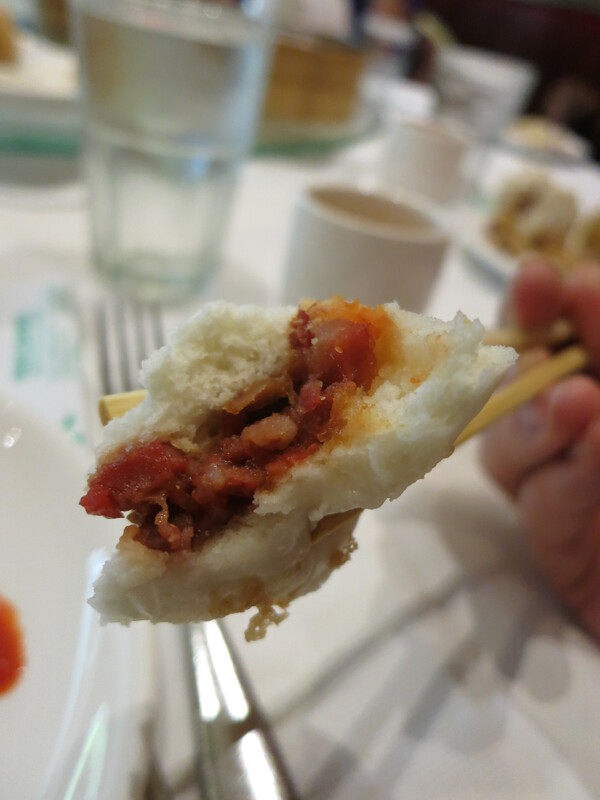 We did add a brief epiloge to our tour, and stopped in a Chiu Quon Bakery for some moon cakes. Having already eaten our fill, we were glad that they had mini versions of the cakes. We got a couple of red bean paste cakes and one lotus paste cake to go. I don’t have any pictures, sadly. I’m not sure if any of them made it home. Tania may have consumed them all before we made it back to Columbus. All in all, it was a great trip to Chicago and to Chinatown. For all you aforementioned Chicagoland friends, I recommend if you’re in the area, you at the very least grab some Chicken and Dried Chilies to go. You may lose all feeling in your mouth for the next day or so, but you won’t be disappointed.